A call to Drettmann Yachts confirms a €125,000 price drop on the 27.9m motor yacht Bandido 90. Built by Jade Yachts in 2008 as one of the Bandido range, she offers comfortable accommodation for eight guests in four staterooms and her twin 1100hp MAN engines have only 950 hours on them. 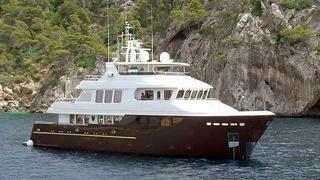 Lying in Croatia, the Bandido 90 is down from €5,100,000 to €4,975,000.